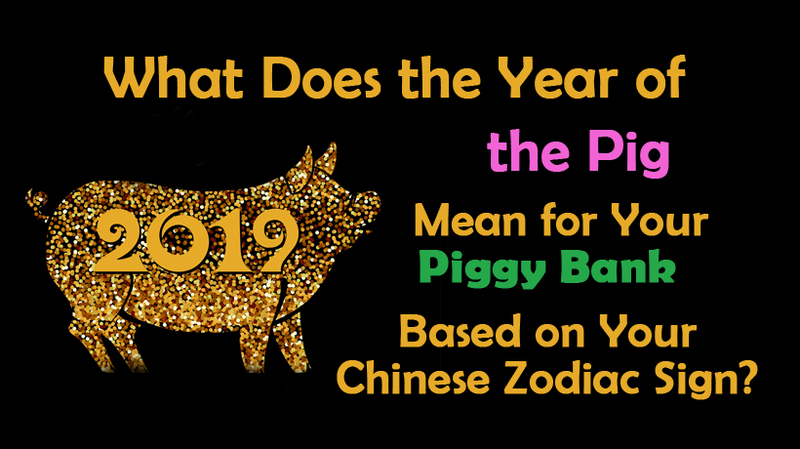 What Does the Year of the Pig Mean for Your Piggy Bank Based on Your Chinese Zodiac Sign? While western astrologists observe the new year on January 1st, Chinese astrologists celebrated the Chinese New Year on February 5, 2019. This year is the Year of the Pig, which is associated with wealth. Your birth year determines your Chinese Zodiac sign, which is an animal. The animals represent a 12-year cycle that are approximately the same cycle as Jupiter’s rotation orbital period, according to Dr. J. Zai, author of Taoism and Science: Cosmology, Evolution, Morality, Health and more. While not everyone has a Pig as their sign, we might be able to anticipate how 2019’s Year of the Pig affects your Chinese Zodiac sign –– especially concerning your piggy bank. According to the Zodiac, the traits of the Rat are nervous around the traits of the Pig. This means your money luck will be just fair this year. Be careful about taking spontaneous risks or loaning money to your relatives and friends, as you will need to be more diligent with your finances this year. People with the Ox sign can expect stable profits this year, as the Pig and Ox are neighboring farm animals. You may even see fortune when choosing some smart investments. Be mindful, though, as the humble Ox can only take on so much prosperity. Consider spending your good fortune on one or two luxury items and saving or donating the rest. The Tiger and the Pig are friends, but the well-intentioned advice from the Pig won’t necessarily help the Tiger. This means your finances could be on a roller coaster in 2019. Without attention, your money can sink like a stone in a river. But with the right planning, the mighty Tiger should fare well this year. Your adaptability will pay off in the Year of the Pig. The agile Rabbit is quick to jump on sales and opportunities and even quicker to recover from setbacks. Since the Pig tends to be more languid, it’s important to not be too speedy. Remember to look before you leap in 2019. 2018’s Year of the Dog humbled you. You may have had several setbacks that forced you to reevaluate your priorities. Luckily, this experience sets you up for success in the Year of the Pig. The Dragon will face some obstacles in 2019, but you will be much more equipped to overcome them and prosper. The Snake’s fluid movement is often at odds with the Pig. That makes 2019 a dubious year for job changes. If you have a new job or you’re in line for a promotion, you will need to rely on your tenacity; even if you feel entitled to a new position, you’ll need to prove yourself even more. 2019 is about laying the brickwork for 2020. Charming your coworkers will be easier in the Year of the Pig, which will be helpful when you will need to rely on our your team for your ventures in next year’s Year of the Rat (2020). Build your network, follow up on your connections, and reach out to your tribe this year. While the Goat and the Pig are similar, the Goat is more strong-willed than the easy-going Pig. Take advantage of the way your leadership will shine this year, as your bright ideas will charm your followers. This can make you more likely to be considered for a promotion. 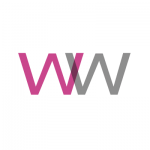 You may also be more appealing to new clients or customers. Normally, the Monkey is known as a great orator. However, in the Year of the Pig, the playful Monkey won’t win over the Pig. You may be at odds with some peers that are envious of your ideas. Concentrate on communicating with the people who matter –– your boss, your spouse, or your business partners –– and you will stay on track with your spending and business ventures. Your bank account will appreciate it. You’ll see big changes in your relationships concerning your family and romance. What does that mean for your wallet in the Year of the Pig? More time with your family may mean more money spent on family vacations or visits back home. However, some increased stability with your love life later in the year could mean stability with your pocketbook, too. Though the Dog is naturally cautious and analytical, the Year of the Pig is the year to be spontaneous. These complementary creatures will support each other as you pitch a new idea, pick up side hustle, or pursue your dream job. Despite this being your year, 2019 will be no walk in the park for you. When a Pig meets a Pig, they become opponents. You’ll need to fight especially hard for everything you deserve. But should you commit, you’ll see the prosperity that the Year of the Pig assures.